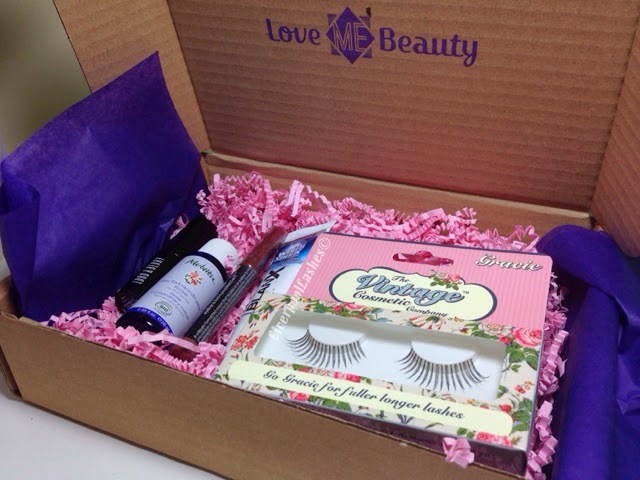 Yesterday my Love Me Beauty Box arrived for April. A particularly delicious postman handed me the box (who could have easily been a stripper but that's besides the point.) Once I had gotten over the state I was in when I answered the door, I then noticed how strangely light the box was. It's hilarious really because my initial thoughts of each box is based solely on the weight. I've been subscribed to this box since January and I do feel very disjointed with the whole process. I love that I can pick my own little package deal of products as at least then it can cater more to what I fancy but I feel like I don't know where I'm up to with it. I appreciate that probably sounds ridiculous but with the other typical beauty boxes like GlossyBox and Birchbox, you could just leave them to get on with it and receive yours with everyone else. With this new type of 'pick your own products' box, I don't receive mine at the same time as anyone else, I never remember if I'd ordered this months already or what I've chosen, it's just all too confusing for someone that leads a fairly hectic life! As usual I have made a video to chat about each product in a little more depth.